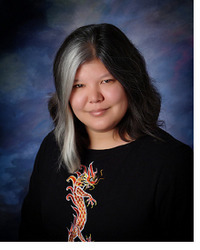 In honor of my being invited to the Harlequin Blogger Teen Breakfast for BEA, I thought I would revisit these reviews, as Julie Kagawa will be there! And, since I really loved these books, I wanted to share them with you all again! I want to thank Net Galley and Harlequin Teen for providing me with an ecopy of this book to read and give an honest review. Receiving this book for free has in no way influenced my opinion or review. I need to start off by saying that I never read the blurb or any reviews for this. So, going into it, I really had no idea what it was about! I had heard such great things about it, and I had read Julie's other series, The Iron Fey, so I figured I would just jump right in. And I'm so happy I did. I was totally engrossed with this story. I could not put it down (except I had to work and eat and sleep and take care of my family!). So it was a pleasure to read this for sure. And then as I read it and realized it was both paranormal and dystopian? What a great mix! I have only read one other book like this, Day Soldiers by Brandon Hale, which I LOVED. So this idea is still new and unique and totally captivating. Can we say cover love? I love this cover. I am a little surprised that the cover model is not Asian, tho, considering the main character is. But it does depict something very significant from within the story. So, after reading this book, I completely understood why this was chosen for the cover. I can honestly say that I am really unhappy with the change in the cover and will be purchasing the UK paperback of the second book so that my books will match (even tho one will be hard cover and the other will be paperback). The characters in this book were so well described and really great to watch grow. They are definitely characters who are easily relatable. I felt sympathy for them when necessary, and I was rooting for them when the time came. They had depth and nuance. It was great watching their personalities unfold and take shape. Allison is tough as nails. I totally love this about her. She's strong and strong willed for sure. She goes after what she wants. However, she is a bit selfish at times, and this does come back to bite her. But she absolutely learns from her mistakes and uses that knowledge to help others. It was great to watch Allie's struggle as she came to terms with being a vampire. And one of my most favorite things about Allie is that she is a vampire, that Kagawa chose to take her main character and turn her into a monster! Most YA paranormal books have the main character being human, or at least mostly human, and it was nice to see a story told from a different perspective. Zeke, well, I wasn't sure what to make of him at first. I knew he would turn out to be the love interest, but I just didn't see how it could possibly work. I mean, the idea of human and vampire has already been touched upon in the Twilight series, but this was so much more in depth. There were many more rules here, such as Allie not being able to be out and about during the day. I wasn't sure how Kagawa would over come this, but she came up with some great ideas to do it. And so, the relationship between Zeke and Allie became possible. And Zeke is very strong and strong willed. I definitely felt the clash between him and Allie and thought for sure that the two strong personalities would never work together. But they did. He's also loving and caring, and of course totally swoon worthy. And he comes with lots and lots of baggage, which Kagawa slowly reveals to help shape. He is sensitive and kind and never expects anything in return. Kanin, well, he is obviously Allie's father figure during this story. He's cryptic, but he reveals things as the time comes. And he teaches Allie what she needs to know to survive. She is connected to him in many ways, as is revealed throughout the story. Kagawa's writing is so different in this book than in her Iron Fey series. Unlike others, I was not a huge fan of Iron Fey. It was nice enough, but I felt like the story lacked something. Well, Kagawa has certainly fine tuned her craft with this book. Her descriptions are spot on. I felt like I was right there with the characters during the action scenes: being chased, heart beating out of my chest. And I could clearly picture in my life what the towns and surrounding areas looked like. It was great watching the world unfold right before my eyes impossible not to feel as if I, too, were a character in this story, watching it unfold and develop. The setting was reminiscent of Oliver's Delirium, a walled city surrounded by unknown wilds. Kagawa has shaped a dark tale that will pull you in and completely absorb you. She has created a world where there is a little for everyone: the paranormal lovers and post-appocolypitic world lovers both! There is no doubt in my mind that the next installment of this series will do the same. She will have your heart racing, pulse throbbing and mind reeling with this story. 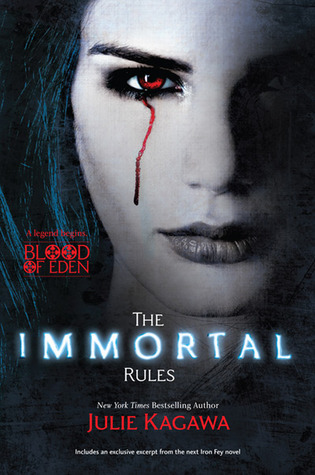 If you are a lover of vampires, then pick this one up. If you love dystopian worlds, then this is the book for you! It's a refreshingly different story that has me chomping at the bit for more. Well done Ms. Kagawa! I want to thank Net Galley and Harlequin Teen for providing me with an eARC of this book. Receiving this book for free has in no way influenced my opinion or review. When I saw that it was being offered, I jumped at the chance to get a copy and I am so glad that I did. I really enjoyed the first book in this series. So, I will be honest and say that I really do not like the cover to this book. I own the first book with the original cover and I hate how it's been changed. I dislike this cover so much that I will be asking a friend in the UK to purchase me a copy of the paperback (despite the fact that I always prefer hard cover when it's available) because then my covers will actually match. That being said, it was almost the only thing that I didn't like about this book. Allison is once again the main focus and narrator of this book. She continues to be strong. However, I was getting totally annoyed with her references to Zeke in the first few chapters. The fact that she misses him and feels terrible that she is not with him was obvious from her being torn in the first book when she left him. But, she references this at least once in every chapter in the first few chapters and it was totally annoying me. But I still enjoyed her voice and how she told her story. She is very authentic. I love how she picks things apart and is smart about how she approaches situation. She has a good sense of self-preservation, as well as a sense of how to protect others. Best of all, it's great to watch Allison battle with herself to keep her humanity as she tries to keep control of her vampire side, but cannot always do so. It was nice to see that this book was not a filler, as many second books in a trilogy tend to be. Usually they are just a bridge to get the characters from the first book to the last. Not so with this book. This book has a story unto itself and one that is totally in line with where the plot line is going. This book delved more into the world building that was started in the first book. We get to see the inner workings of a vampire city and a deeper understanding of many of the secondary characters. I loved watching the secondary characters reveal more and more of themselves. We also seen the return of characters that we met in the first book (tho I won't say who because I don't want to spoil anything). As with the first book, Julie's writing is really great. I love her descriptions. I can feel the emotions of her characters as they progress and I can totally picture their surroundings as they make their way through the story. The action scenes are intense and really kept me on the edge of my seat. Each chapter kept me wanting more and I found it hard to find a good place to put the book down because I was wanting to see where the story was headed. And Ms. Kagawa definitely gives us a few oooo, ahhh, and OMGosh moments in this book! Julie throws you right into the thick of things from the beginning and drags your heart through the book (view spoiler). But the path to getting there is nothing more than spectacular and I wouldn't have it any other way. And, if you think you won't be surprised, breathless and left dangling, you are dead wrong. Yup, there's a cliffy at the end of this incredible book, but it's worth getting there! This book took me on an emotional roller coaster ride that was worth ever word put to it's pages. So, why the 4 stars, you ask? The repetitive stuff in the first few chapters of the book got on my nerves. While I loved the story, the characters and where it went, I could not get over this little issue. And I just didn't feel exactly the same pull through this book as I did with the first, tho it was close. I can't wait to see where Kagawa takes us in the final installment. I'm good with that. It's pretty much spoiler free, tho, so no worries! LOL! Can't wait to hear what you think! Thanks! I actually preferred this series to Iron Fey. 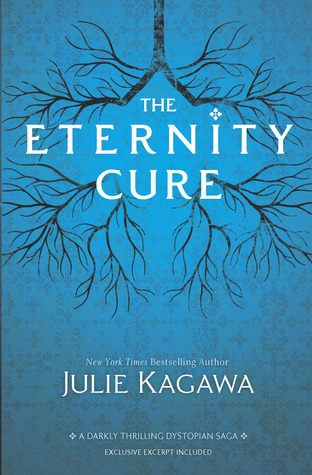 I hope you enjoy The Eternity Cure!